South Korean electronics major Samsung on February 20 introduced the tenth generation of its Galaxy S-series smartphones, along with a new foldable device, smart health band, smart watch and wireless earbuds. Leading the Galaxy S10-series is the Samsung Galaxy S10 Plus. The Plus edition has a 6.4-inch QHD+ dynamic AMOLED curved screen stretched in 19:9 aspect ratio. It has a triple camera module on the back and a double camera set-up on the front, stacked under a punch hole on the screen. The phone is powered by a 4,100 mAh. The phone boasts an ultrasonic fingerprint scanner stacked under the display. Price of the Galaxy S10 Plus starts at $999, which translated to around Rs 71,000 in India currency. 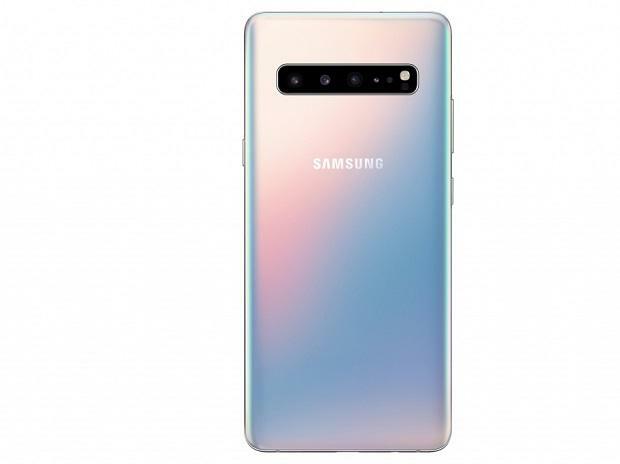 The Samsung Galaxy S10 features a 6.1-inch QHD+ dynamic AMOLED curved screen, triple camera set-up on the back, and a single camera on the front. The rear camera module features a 16-megapixel ultra-wide angle lens of f/2.2 aperture, a 12MP f/2.4 telephoto lens, and a 12MP primary lens with variable aperture that can be switched between an f/1.5 and f/2.4. In terms of design, the S10 features a punch-hole screen, accomodating the 10MP seflie camera. The phone also boasts an ultrasonic fingerprint scanner stacked under the display. The Galaxy S10 price starts at $899, which translates to around Rs 64,000 in Indian currency. A combination of both phone and a tablet, the Samsung Galaxy Fold is a new breed of smartphon with a foldable screen. It has a 4.6-inch screen when folded and can open out to a 7.3-inch display, which is big enough to allow three-app multitasking. The Galaxy Fold is priced at $1,980, which is around Rs 140,000 in Indian currency. 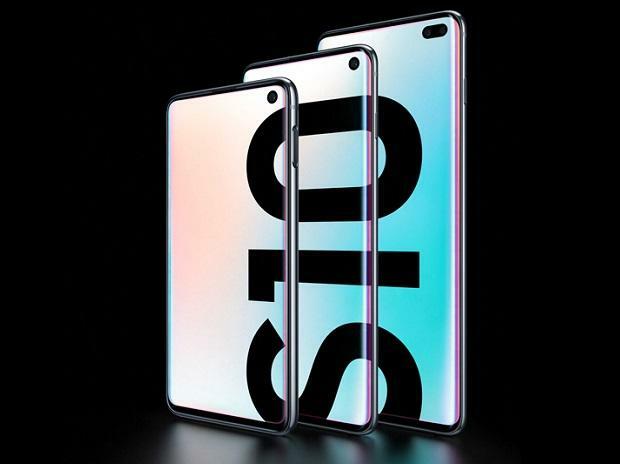 The most affordable in the Galaxy S10-series, the Galaxy S10e (essential) is a trimmed down version of the S10 and S10 Plus. The Galaxy S10E has a 5.8-inch fullHD+ AMOLED screen a punch-hole, accomodating a selfie camera. Unlike the S10 and S10 Plus, this one has a dual camera module on the back -- a 12MP primary sensor of variable aperture and a 16MP ulta-wide lens of f/2.2 aperture. The phone's price starts from $749, which is around Rs 53,000 in Indian currency. As the name suggests, the Galaxy S10 supports 5G conectivity. It is the first commercial phone to support 5G network. The phone features a massive 6.7-inch dynamic AMOLED curved screen, a 4,500 mAh battery and three cameras, paired with a dedicated 3D depth lens, on the back and a dual camera set-up on the front. 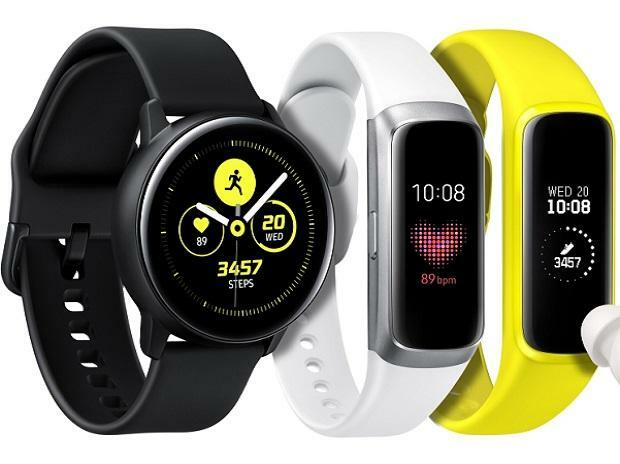 Along with a slew of smartphones, Samsung also announced its new line-up of the Galaxy wearables -- the Galaxy Watch Active and Galaxy Fit. The Samsung Galaxy Watch Active has a round face, heart rate monitor that also measures stress, and water-resistance capability (up to 50 meters). It can also track sleep and is made from of aluminum. On the other hand, the Samsung Fit is a fitness band with support for auto track of up to six different exercises. It also supports sleep and stress monitoring. The new wireless Earbuds is an updated version of the original Earbuds that were introduced last year. The new edition is smaller and has a battery life of up to six hours. 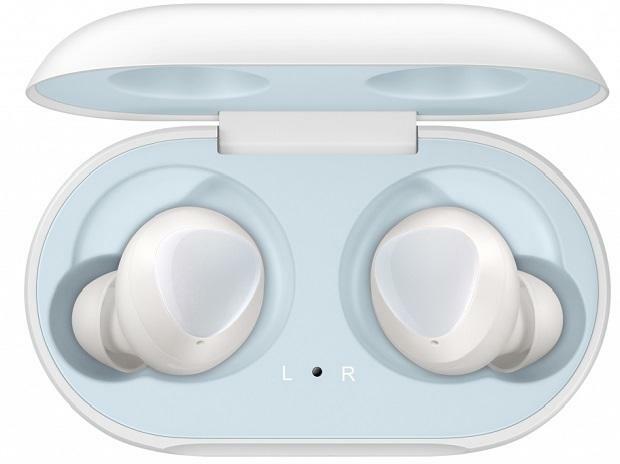 The Samsung Earbuds are priced at $149.